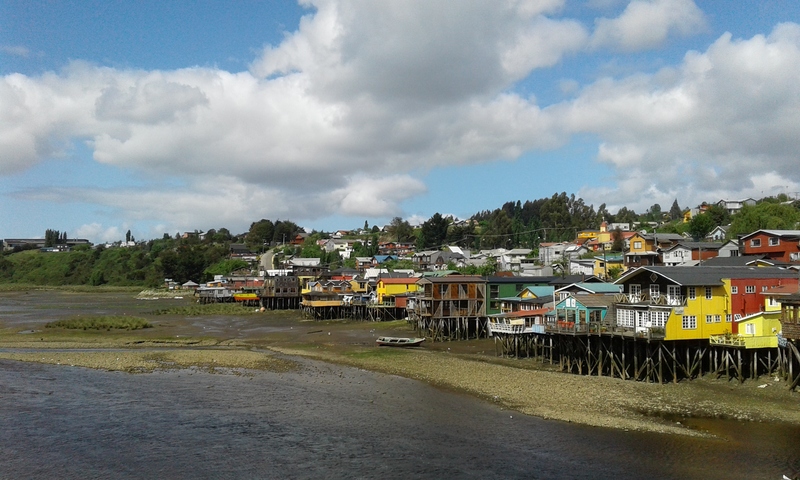 Castro is the capital of the Chiloé Province in the Los Lagos Region and the largest city in Island. The city is about 165.1 sq. miles and it has population of 41,667 based on 2012 census. 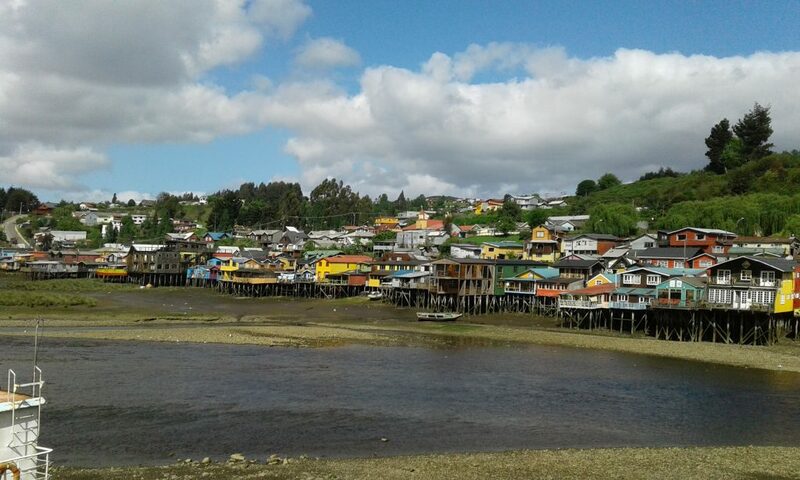 It was established in 1567 and is the third oldest city in whole Chile. The city is interesting because of those few sights: The Regional Museum of Castro, Plaza de Armas with Gamboa (church) or Nuestra Senora de Gracia, which is a churched built in 1886 and is protected by UNESCO. The different types of colors create a great contrast with the nature and blue skies. Like those houses, most houses are built from wood and many of them are colorful like these are. The contrast of colors is simply beautiful, people all around the world come to Castro to see this. Actually, if you Google “Castro, Chiloé” and you click on images, the first pictures that come out are these ones. Also, what is very interesting, despite that very extreme weather, especially during the winter times, all the houses are build from wood. There is not central heating system, so individual households are completely responsible for themselves.